Robert Hall was the son of Thomas and Sarah Hall. Robert was born on 9th September 1893. Thomas Hall is a farmer. Robert Hall emigrated to Canada. Robert enlisted in Toronto, Canada on 21st September 1917. He was living in Mayatt, U.S.A. He gives his age as 24 years old. 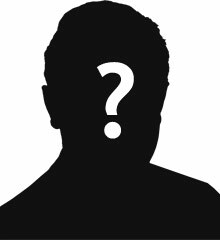 He gives his next of kin as his mother, living in Fivemiletown. Robert was single and working as a gardener. 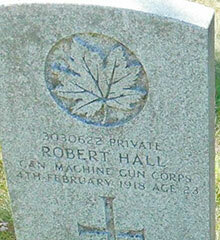 Private Robert Hall was serving with Canadian Machine Corps. Private Hall died on 4th February 1918. He was 23 years old. The cemetery is located in the East end of Toronto on the corner of Kingston Road (highway 2) and Woodbine Avenue. The Cemetery is very visible, and the main entrance is off Kingston Road.